It's my birthday tomorrow. And look at my gift to you! 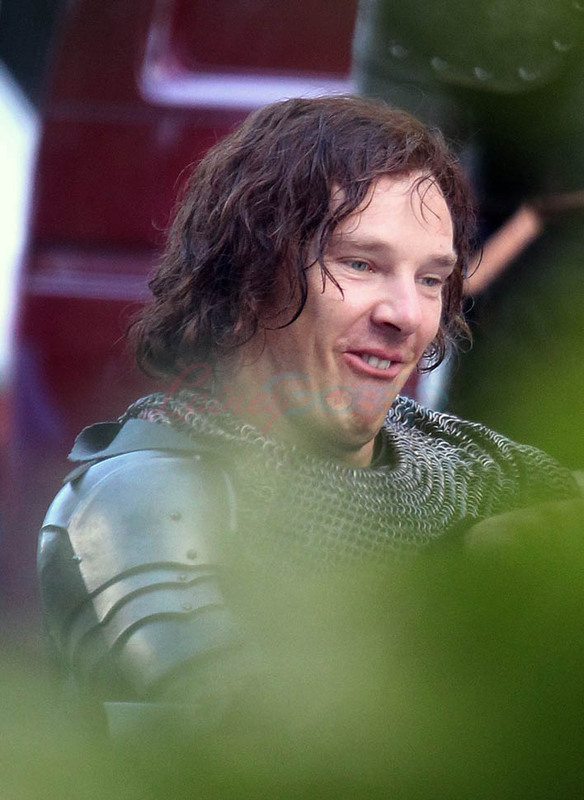 New photos of Benedict Cumberbatch on set of the BBC2 production of The Hollow Crown: The War of the Roses. Sarah always talks about his voice. 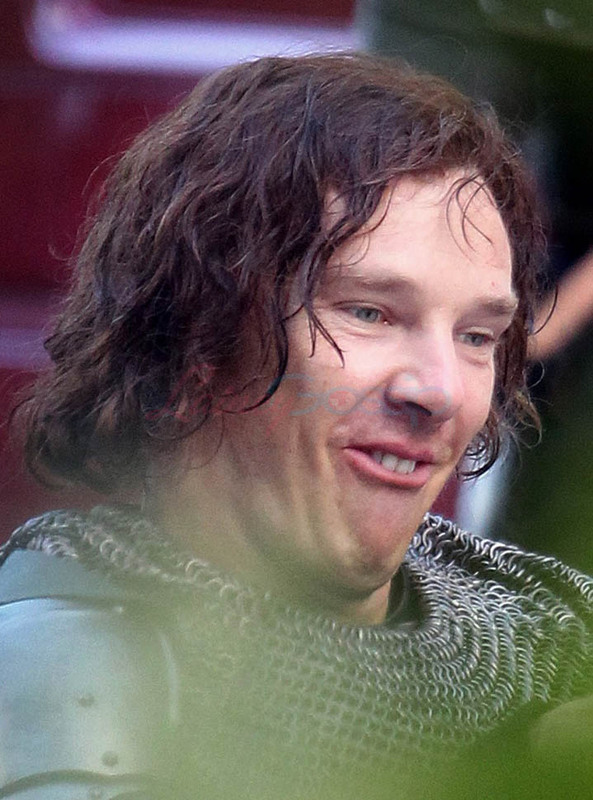 Cumberbatch fans love the voice. And now the voice is doing Shakespeare. 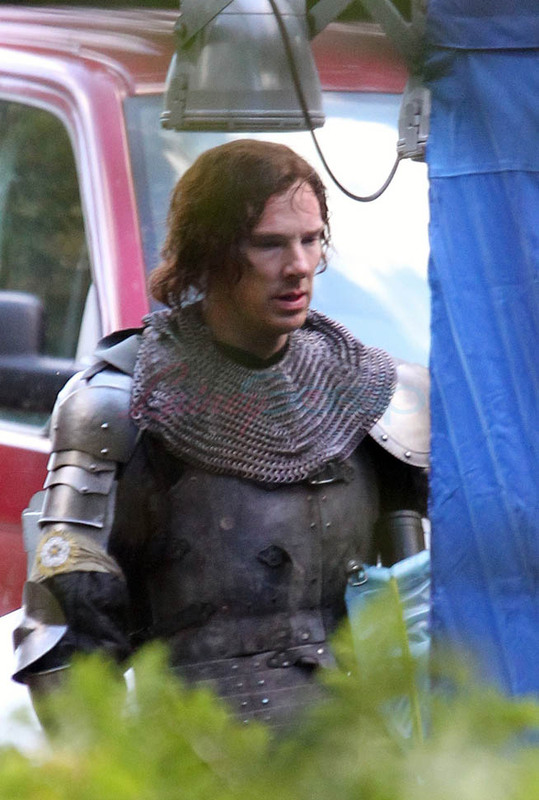 With his hair longer and wavy and wet. 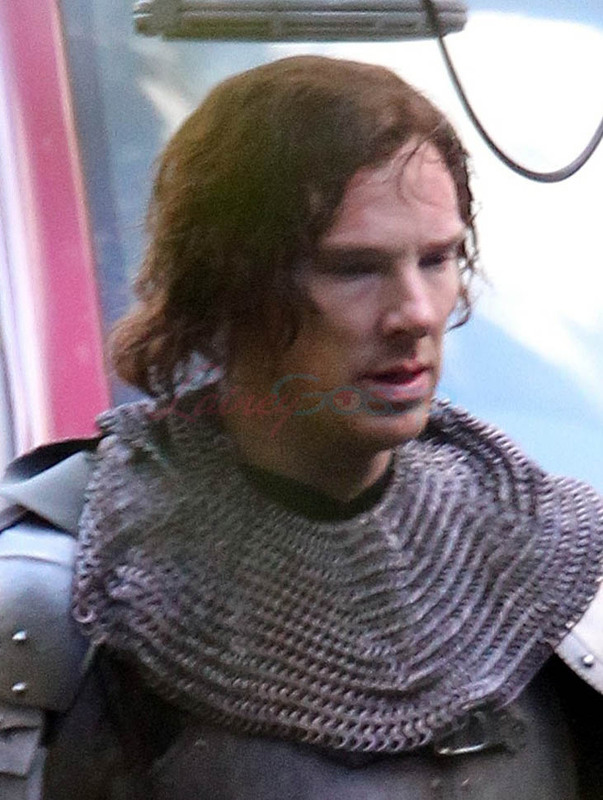 Wearing chain mail. He's your nerd heartthrob. 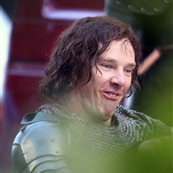 So I know you love it when he's acting all nerdy and goofy and not taking himself too seriously and being fun.